When you mount a ball mount on your trailer hitch, you expect it to stay put. Whatever type of load you are hauling, having towing equipment that can work as hard as you do is a must. For all types of heavy-duty towing, CURT 5/8" hitch pins and clips pack a little extra punch. We make our 5/8" hitch pins out of solid steel and coat them in one of four finish options. All of these finishes offer excellent resistance to rust and corrosion for long-lasting, smooth operation. CURT hitch pins are also constructed with a 105-degree bend, creating a useful handle for a better grip and allowing the pin to stay securely engaged in the trailer hitch and ball mount. 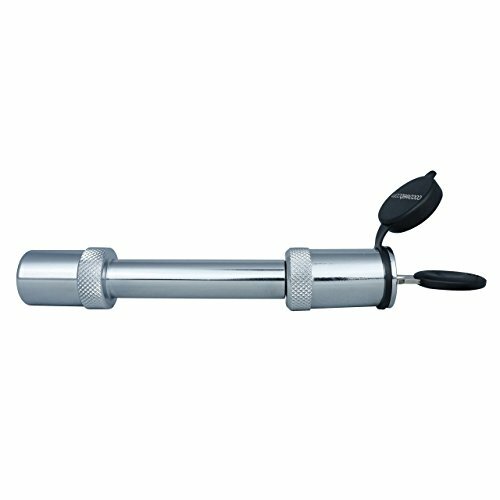 This particular 5/8" hitch pin features a zinc finish and comes with a standard retainer hole to accept the included clip. 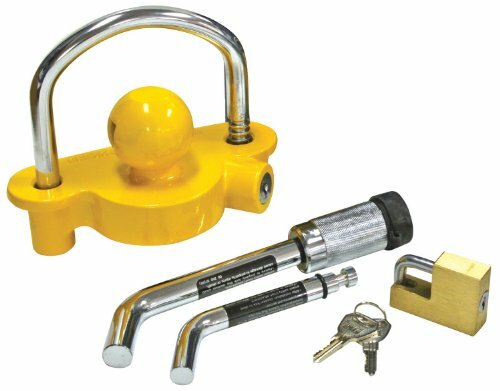 It provides reliable installation for any ball mount or hitch-mounted accessory with a 2" shank, making it the perfect fit for class 3, 4 and 5 trailer hitches. It also has a vinyl-coated handle on both the hitch pin and clip to allow for a better grip. COMFORTABLE GRIP. The handle on both the hitch pin and hitch pin clip are vinyl-coated to allow for more comfortable handling and a better grip. VERSATILE. The 5/8-inch diameter of this hitch pin is compatible with any ball mount or other trailer hitch accessories with a 2-inch shank and 5/8-inch pin hole, making this receiver hitch pin a perfect fit for most class 3, 4 and 5 trailer hitches. EASY TO HANDLE. The 105-degree bend in this trailer hitch pin creates a useful handle for easier use and allows the pin to stay securely engaged in the trailer hitch and ball mount. CORROSION-RESISTANT. 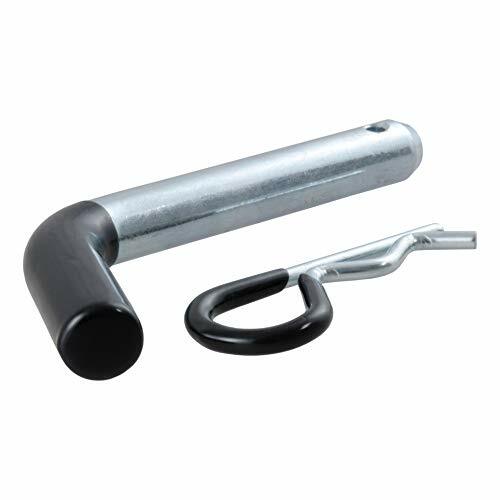 Protected by a durable zinc-plated finish, this tow hitch pin maintains excellent resistance to rust and corrosion for longevity and hassle-free use every time. HIGH-STRENGTH. This 5/8-inch trailer hitch pin is made out of solid steel for reliable strength, safety on the road and confidence with every mile of your adventure. The StowAway hitch tightener is a proven solution to prevent hitch movement whether it be for a bike rack, cargo rack, spare tire mount, trailer or pretty much anything else you re towing are carrying in your hitch. 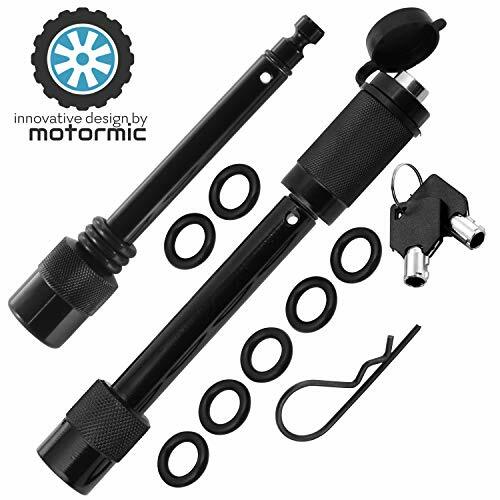 Our anti-wobble kit fits 2 and 1.25 hitches and effectively prevents rattling, wobbling, rocking, and movement behind your vehicle caused by a common hitch connection. The stainless steel U-bolt and heavy-duty powder coated tightening plate are specifically designed to endure weather, heavy loads, and general wear-and-tear with a lifetime warranty. If you re looking for a product that is easy to install and will prevent hitch noise and wobble, the StowAway hitch tightener is a guaranteed quiet ride. Simply slide the sturdy U-bolt over the hitch bar, install the anti-rattle tightening plate and listen to that sweet sound of silence! It s as easy as that. 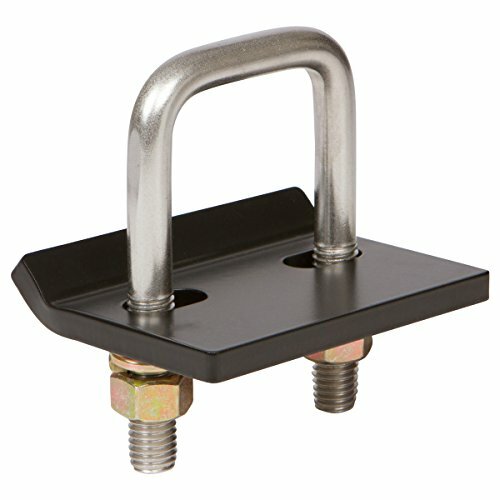 The StowAway hitch tightener is a high-quality American made product for the hitch rack and trailering market. Hitch tightener is compatible with all hitch brands, including Curt, Blue Ox, Hidden Hitch and U-Haul, among others, and hitch classes I, II, III, and IV (1, 2, 3 and 4), both 2 and 1.25 models, ideal for hitches on SUV's, vans, trucks, RV's, sedans and trailers. 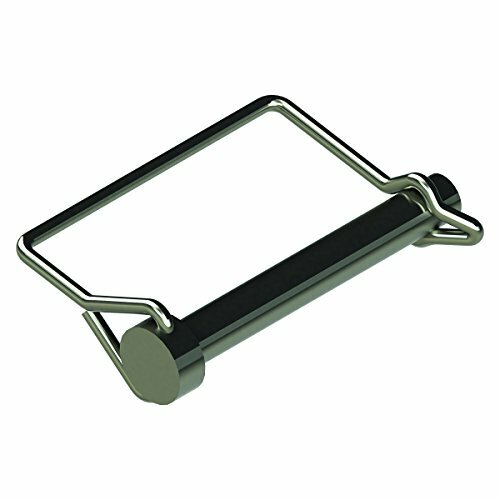 Hitch tightener brackets anti wobble! - Heavy duty 304 stainless steel / spring lock washers / flat washers. Black electrophoresis anticorrosive processing, it will never rust! - Compatible with a variety of tow/carry vehicles - truck, SUV, sedan, RV, van, camper, and minivan. 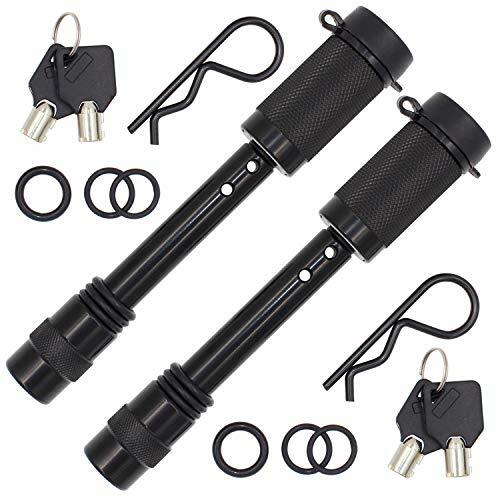 Can be used with standard ball tow hitch, hidden hitch, drop hitch, hitch extender, hitch adapters, weight distribution hitch, front hitches. 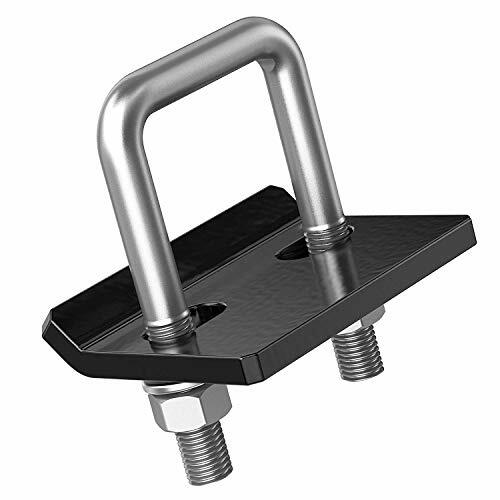 Anti-rattle hitch tightener was designed to completely eliminate hitch noise, wobble, rattle and hitch movement for cargo carriers, hitch receiver, trailer ball mounts, bike racks, hitch racks, etc. Enjoy your quiet towing experience. LIFETIME WARRANTY - quality guarantee from LIBERRWAY. We have UPDATED the nuts and fixed the nuts seized issue, contact us if you have any question or issue. 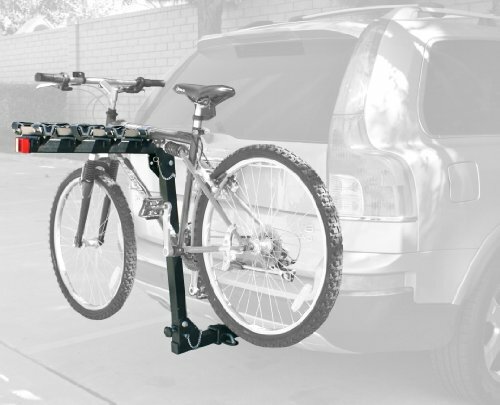 Heavy duty all steel construction bike rack will easily transport up to 4 bicycles. Features padded bike cradles with hook and loop straps to protect bike finish. TYGER AUTO focus on developing premium aftermarket auto parts that meet or exceed OE quality standards. All TYGER parts are covered with No-Hassle warranty and will make your vehicle stand out on the road. 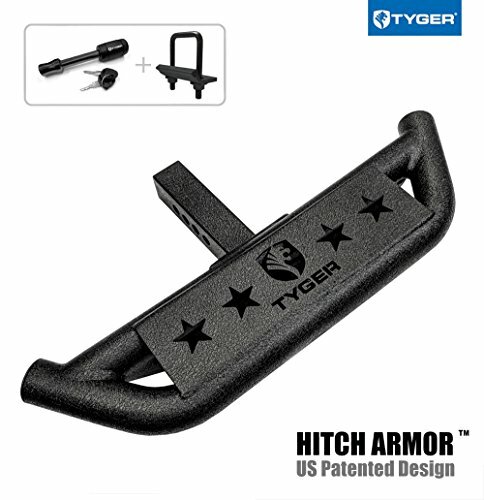 TYGER patented Hitch Armor provides easy access to storage area. Dual girder system provides maximum protection from rear-end collisions. Only fits on 2 inch hitch receiver. Weight Capacity: 350 LBS. Easy plug in installation. 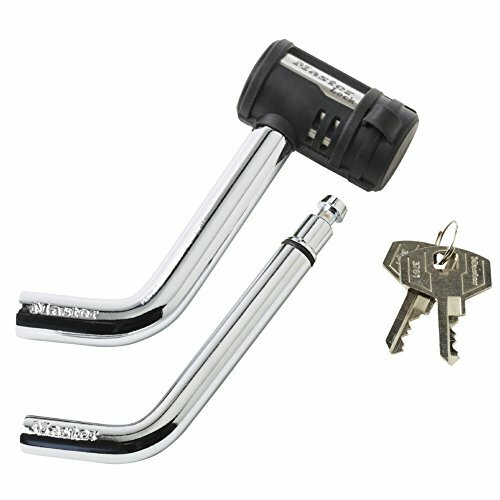 Free pin lock & stabilizer are included. Heavy-duty 2inch diameter & 0.120inch wall thickness tubes; Dual stage powdercoated textured black finish. May interfere with backup sensor in some rare cases, such as 2018 Ford F150. For best fit on some SUVs with spare tire under rear bumper like Toyota 4Runner, may need to cut insert tube about 1.5inch off. TGL Hitch Step provides a stepping point to get into your truck bed or cargo area. The step is made of solid steel with a powder coat finish. 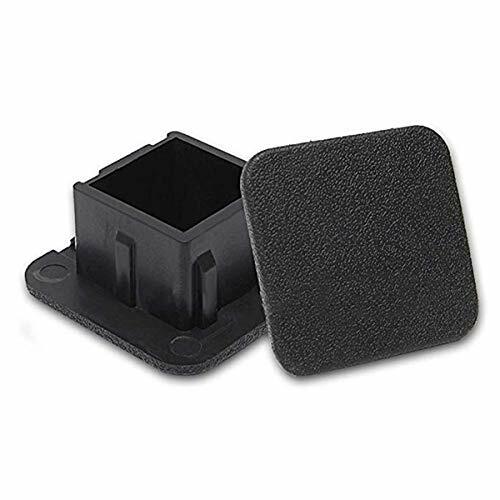 TGL Hitch Step has ridges on the step sides to provide non-slip traction for your shoes or boots. TGL Hitch Step allows for multiple tow strap attachment points. The enlarged middle hole works with all our heavy duty 3" tow straps. Two hitch pin holes adjusts so your step can mount further in or out. TGL Hitch Step is also height adjustable by simply turning it over when installing. 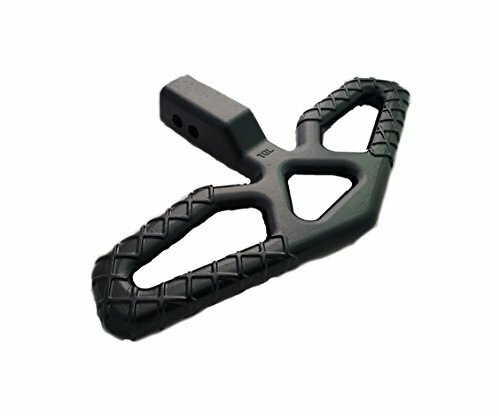 TGL Hitch Step works with all 2" receivers, rated to 10,000 lbs or the rating of your hitch receiver whichever is lower. which complying with SAE J1128 Standards. This is a 4-way standard flat light connector with double trailer ends (4-way flat car and trailer end). there is no need for splicing wires. You can safely extend towing lights without consequently having a dimmer light. 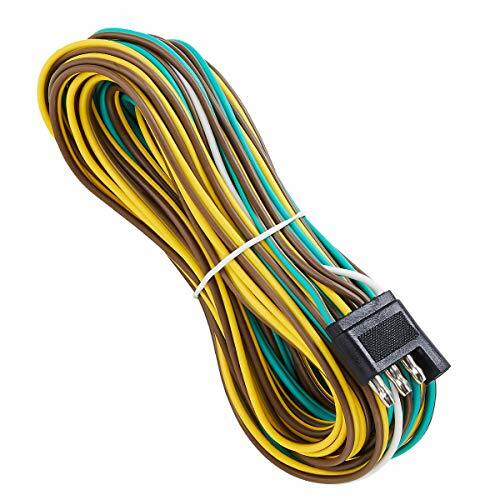 Use the SUZCO trailer wire extension, 25 foot, 4-way 4-pin plug flat 20 gauge hitch light trailer wiring harness extender to extend current truck to trailer wires. motorcycle trailer, ATV trailer, and other cargo utility trailer hitches (tow/haul vehicle must have a 4-way plug). No need to splice your new wires, simply extend them with this extender. 4-Way 25-foot trailer harness connects with a 3-foot ground wire to your tow vehicle to control trailer light functions. Conforms to SAE J1128 specification. Color coded 20 gauge bonded wires. Wishbone-style harness comes with 2 taillight wires split for simple wiring. Allows you to run wires separately down each side of the trailer to tail lights without needing a jumper wire. Color-coded wires help with installation. Standard flat trailer light connector. Do not splice new wires just extend them. ITEM TYPE This is a 25 foot male & female 4-flat marine trailer wiring harness with 4-way conductors and a white ground wire, made of 18-gauge wire, designed to split at the trailer tongue and run down each side of the trailer. The 4 flat trailer wire is color-coded and bonded wire to easily splice into your trailer's wiring system, no need for splicing wires. This trailer wire harness kit is completely sealed for a long corrosion-resistant installation. EXTENSION INCLUDING This 25foot 4 wire boat trailer wiring extension can conform to the SAE J1128 specification. Extends wiring system provides more flexibility. 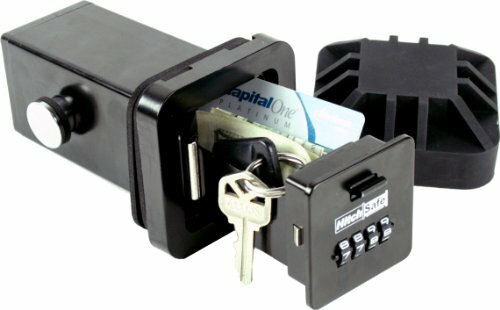 It can protect tow vehicle electronics from wiring shorts. Includes a 4-feet trunk connector, splices, and clips. This trailer wire harness kit also can work on an aluminum trailer based on the ground wire. 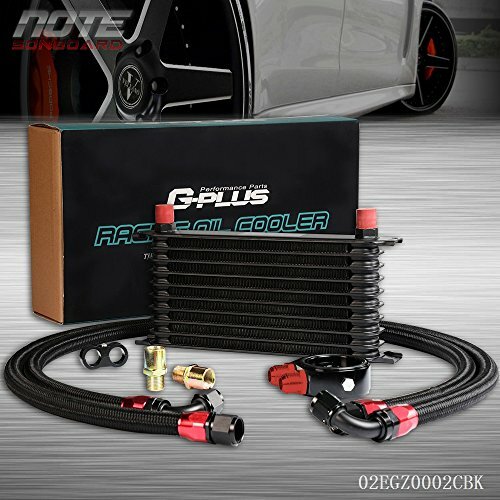 ENOUGH LENGHT GROUND WIRE This trailer wire extension with 4 way flat plug connector is designed to supply power for tail lights, turn and brake lights, as well as a ground connection. The white grounding wire is so enough long to wiring. The trailer side ground wire is about 2ft. Trailer wiring harness features a ground wire. The white ground wire is made of 18-gauge, which is corrosion resistant terminal. 4-WAY CONNECTORS You can install the trailer wire so quickly and easily through the 4-way connectors. 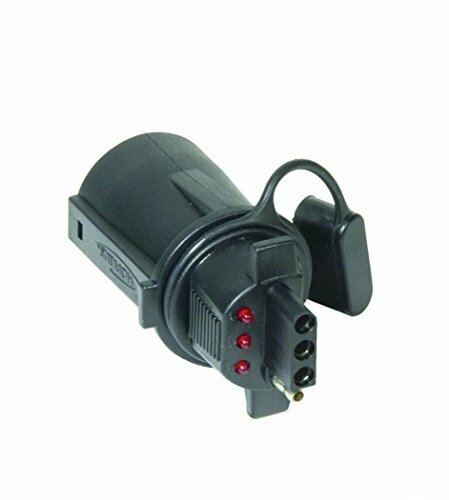 4-pin connectors are available allowing the basic hookup of the three lighting functions (running, turn, and brake lights) plus one pin is provided for a ground wire. Most standard light duty trailers will use a 4-pole flat connector. 4 WIRING INSTRUCTION There are instructions for wiring the running light and license plate lights included. The different color wires are clearly identified as each wire's function, so you can make the installation safe and straight-forward. Lifetime warranty. 2.This mirror will only work properly on vehicles with these exact options. If your vehicle does not have the options listed, the mirror may not function properly. 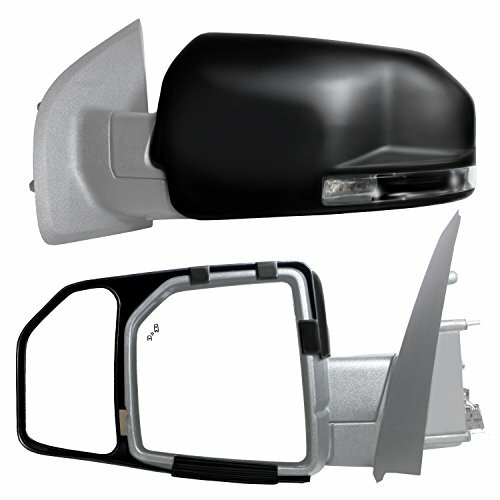 FITMENT - Compatible for 2009 - 2010 Dodge Ram 1500, 2010 Dodge Ram 2500 3500, 2011 - 2017 Ram 1500 2500 3500 (Not fit 2009 Ram 2500 3500). MULTIFUNCTION - Power Adjusted Glass, Heated, LED Signal Light, Puddle Lamp, Manual Flip-Up, Manual Folding. IMPORTANT NOTE - This mirror is designed to replace an original mirror with these exact options. If you do not have the options listed, there is a possibility that this mirror may not function properly. 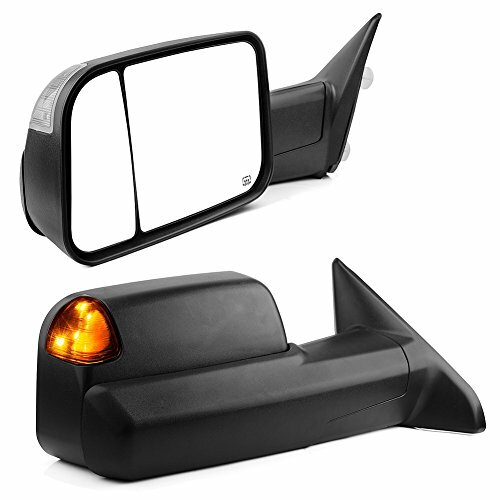 UPGRADED MIRRORS - The towing mirrors provide better and wider angle of rear view, improves visibility and reduces blind spot. Upgrades on road safety. 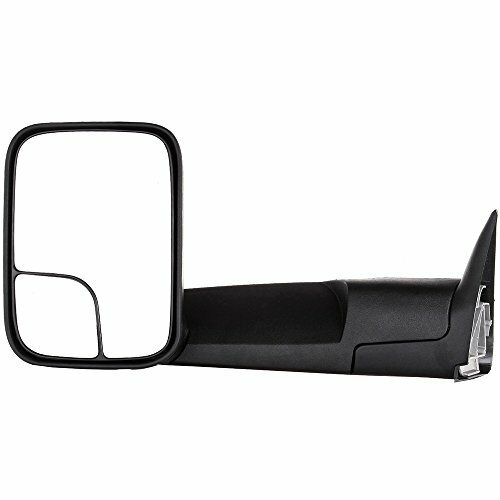 WHAT YOU GET - A Pair of Towing Mirrors (Include left side and right side) and 1 year warranty. 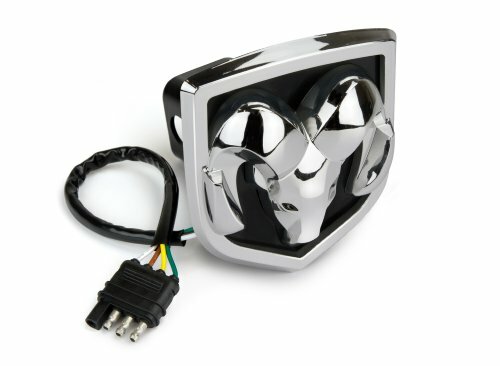 Add some safety and dress up your vehicle with this long life LED light powered hitch cover. Provides low Illumination with the tail lights on and high illumination when the brakes are applied. Official licensed product and a patented manufacturing process. No tools are required and are easy to install. Fits both 1-1/4 and 2 receivers. .If you own a vehicle with a trailer hitch, you know how quickly the receiver tube can get built up with dirt, debris and road grime. It does not take long before inserting a ball mount or hitch-mounted accessory into your trailer hitch becomes more difficult than it should ever have to be. With enough time and moisture exposure, the inside of a receiver tube can become seized up with rust, making it very difficult to use. Keep your trailer hitch's receiver tube clean and protected when not towing with one of JIAYI's attractive and durable tube covers.This JIAYI 2" x 2" receiver tube cover is constructed from quality rubber and mounts on your trailer hitch with a friction fit, meaning no hitch pin or clip is required.At JIAYI, we want to give you a complete towing solution and that includes providing you with the products necessary to maintain your towing equipment. 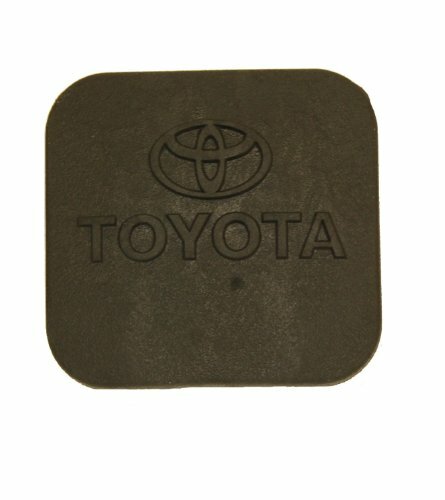 Defend your trailer hitch from the harsh elements with a JIAYI trailer hitch cover. No pin or clip required to hold in place, Installs in Seconds. Simply push it right on your hitch and you are ready to go! Protects receiver tube when not in use, will keep the winter snow and ice outside, rather than inside. Keep out Mud, Dirt, and Pests. SATISFACTION GUARANTEE: You will receive, EXACTLY [ AS PICTURED ] / EXACTLY [ AS DESCRIBED ]. We take pride in delivering top quality products and are proud to offer our friendly 90 day money back guarantee in case you are not 100% satisfied and wish to return the product for ANY reason. 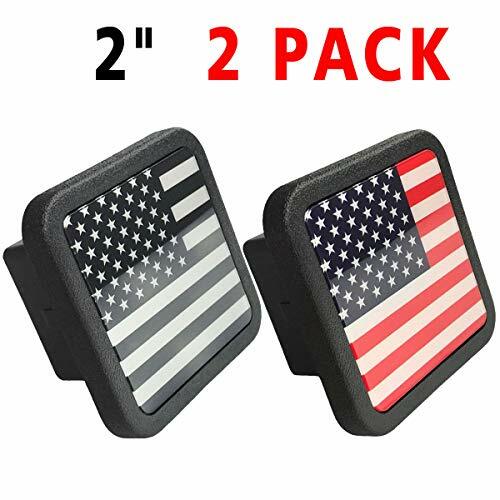 Wakaka trailer hitch tube rubber cover fit most kinds of trailer hitch tube,fit any 1 1/4 inch (1.25") Class I and Class II Receivers. This plug is manufactured from durable Black rubber. Protects receiver tube when not in use. Keep out Mud, Dirt and Pests. No pin or clip required to hold in place, Installs in Seconds. Simply push it right on your hitch. 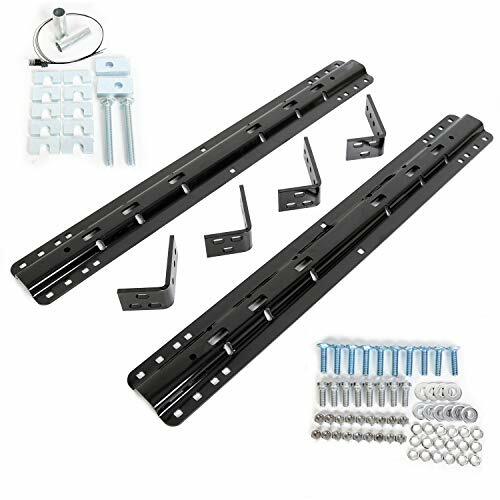 This Fifth Wheel Trailer Hitch Mount Kit is a bolt-on 10 Bolt Base and Brackets kit that includes all the necessary hardware for installation. Condition: 100% Brand NEW in Stock. Sturdy, black powder coated steel resists corrosion. Rails and installation kit for full-size trucks. May require additional kits, see application guide for complete fit specifications. This kit will require drilling for proper installation. All items will be shipped out in 1 business day,no expedited service available. We ship our items to USA only(Does NOT include Hawaii Alaska or Puerto Rico, PO Boxes/APO's ). Provide technical support at any time.Please feel free to tell us what we can do for you,we will reply in one business day. Within one month after receiving the goods, if you find any defect in the product, please contact us for free replacement. This Fifth Wheel Trailer Hitch Mount Kit is a bolt-on 10 Bolt Base and Brackets kit that includes all the necessary hardware for installation. Please Note: This kit will require drilling for proper installation. Manufactured Standards-Manufactured according to Factory OE Standards.Size same as OE parts/specification material same as OE/ installation without modification. Upgraded: The mirrors provide better and wider angle of rear view, which can improves visibility and reduces blind spot, upgrading on road safety, also it can dramatically improve styling and appearance.